Dell’s Mini 9 netbook may be a little old in the tooth these days, but its angular casing makes it a great donor machine for a netslate project. That’s just what MyDellMini forum member Rob did to his Dell Vostro A90, the business-rebrand of the Mini 9, adding a touchscreen layer, flipping the display and relocating the power button. The end result is a Windows 7 touchscreen slate with a 16GB SSD, WiFi, Bluetooth, 1GB of RAM and an Intel Atom processor. Rob is looking to add an accelerometer so that turning the slate automatically switches screen orientation, just like with the iPhone. He’s also thinking of adding a small USB fan inside the casing, since the netslate runs a little on the warm side. Generally he’s seeing 40-50 degrees centigrade, though nothing to the point where it’s uncomfortable to hold. More pictures in the gallery below, and a build-log in Rob’s forum post. 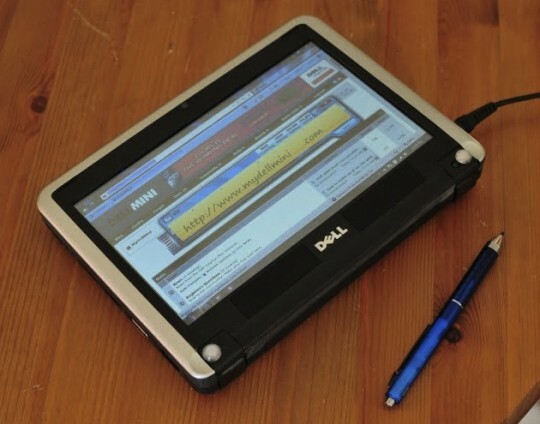 via Dell Mini 9 DIY netslate: most polished netbook tablet-conversion yet? – SlashGear.